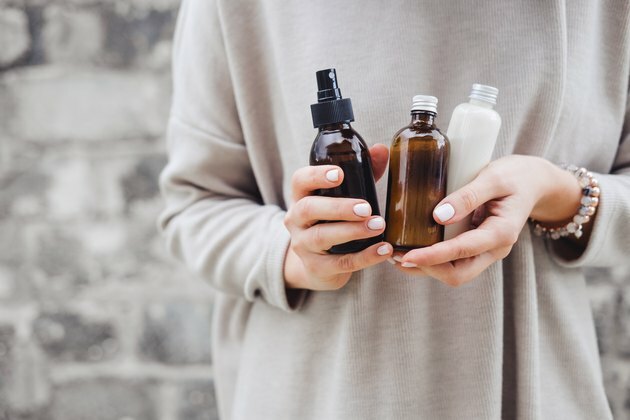 Beauty oils work well because they often mimic our skin's natural sebum — an oily substance secreted by the sebaceous glands in our skin that helps keep our skin moisturized and protected. However, age-related changes like an overproduction of sebum in your teens or a decrease in sebum as you age, plus other impacts like stress, over-exfoliation or environmental pollutants can cause your skin's lipid layer to get out of whack. Oils to the rescue! Beauty oils can help soothe, nourish and protect your skin back into tip-top shape. Your Skin Type: Do you have oily skin? Dry skin? A combination? Are you acne-prone? While all skin types can use beauty oils, there are some oils that work better for different skin types. Make sure you choose an oil that is suited to your skin and be prepared for some trial-and-error to find your perfect match. Ingredient List: For the best beauty oil bang for your buck, look for pure oils that list the oil as the first (and ideally only) ingredient. Skip products that list water or an alternate ingredient first as you'll miss out on the beauty oils' benefits. Bottle Color: Many oils oxidize easily, so always buy beauty oils in small quantities, in a dark bottle if possible, and keep them away from heat and sunlight. 1. Marula Oil: If you're brand new to oils (and are slightly worried about looking like an oil slick), ease into the trend with marula oil, made from the fruit seeds of the African marula tree. While super-hydrating for all skin types, one of marula oil's benefits is that it absorbs quickly, making it one of the least greasy oils to apply. "Marula oil is great at reducing redness and hydrating dry and irritated skin," says Dr. Jaliman. "This oil is rich in omega fatty acids, but it's also non-comedogenic and antibacterial, making it safe for acne." Marula oil is also jam packed with vitamin C and E, making it a powerful tools for dealing with hyperpigmentation, photo-aging and free radical damage. 2. Argan Oil: Extracted from nut kernels from the fruit of the argan tree, argan oil is a powerhouse of goodness for your skin. 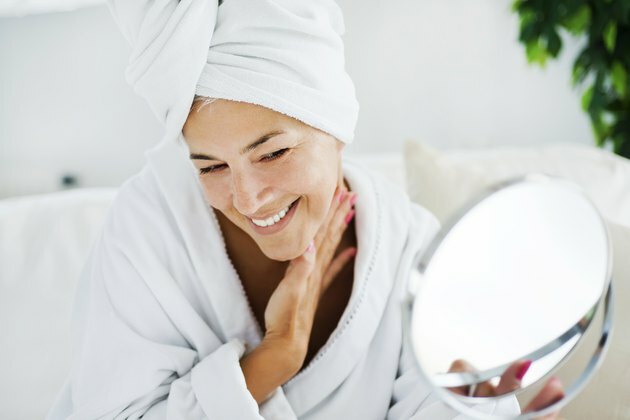 "Argan oil is very rich in oleic and linolenic acids that help with anti-inflammatory effects and help provide skin hydration," says Tanya Kormeili, M.D., a board-certified dermatologist in Santa Monica, Calif.
A 2018 study published in the International Journal of Molecular Sciences has also shown argan oil benefits your skin by repairing your skin's barrier and increasing skin elasticity. Suitable for most skin types, it's packed with powerful antioxidants including vitamin E and ferulic acid that work together to help reverse the signs of aging skin. 3. Evening Primrose Oil: Evening primrose oil is obtained from the seeds of the evening primrose, a flowering plant native to North America. The oil itself is rich in linolenic acid and gamma-linolenic acid, which have been shown to have restorative and soothing effects on the skin as well as anti-inflammatory benefits, says Dr. Kormeili. A 2018 study from the journal Antioxidants also showed evening primrose oil's ability to strengthen the skin's epidermal barrier, preventing water loss and improving the skin's smoothness, making the oil a great choice for mature skin. 4. Jojoba Oil: Though it's called an oil, jojoba is actually a liquid wax made from the seeds of the jojoba shrub, found in the southwestern United States. Like other oils, jojoba oil has a wide range of antioxidant and anti-inflammatory benefits, but jojoba most closely mimics your skin's sebum, making it an ideal beauty oil choice for any skin type including sensitive and acne-prone skin. Jojoba oil is gentle on the skin and absorbs quickly, helping your skin look dewy and moisturized, not greasy. Another benefit? Jojoba is more shelf stable than other oils, meaning it won't break down as quickly — even if you get the big bottle. 5. Rosehip Oil: Rosehip oil is extracted from seeds of rose hip, a fruit that grows on wild roses once the flowers have bloomed. High in antioxidants like beta carotene, vitamin C and vitamin E, rosehip oil improves your skin by protecting against oxidative stress and decreasing inflammation. "Rosehip oil not only has hydrating properties, but it can also promote skin regeneration and can improve skin texture," says Dr. Jaliman. It's also suitable for all skin types include those with acne, says Dr. Jaliman, as it's lightweight, absorbs quickly and won't clog pores.